In 1919 a new Art, Design and Architecture School was formed, called the Bauhaus. Even today its name is synonymous with quality design. The School moved to the distinctive ‘Bauhaus’ building in 1926 (Dessau, Germany) where it influenced the design of everyday products, developing into an international art movement. One of the aims of the Design School was to encourage designers, to develop products that could be manufactured on an industrial scale. Previous to the Bauhaus, very little thought had been put into the design of everyday items / products. However, the manufacture of many quality products relied on individual craftsmanship and skilled people (E.g. 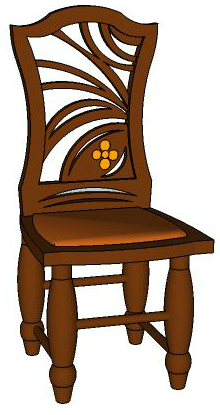 Art Nouveau). They were usually expensive, often purchased by the wealthy. Alternatively, products were manufactured in a basic functional way, with little though being put into aesthetics. These products were for the general public. The Bauhaus, encouraged designers to develop products that could be manufactured on an industrial scale and yet be aesthetically pleasing. The Bauhaus founder, Walter Gropius, devised the curriculum. He attempted to break down the barriers between craftsmanship, architecture and industrial production. Furniture designers, potters, silversmiths, and joiners were brought together, for the first time, to explore design. All the students would learn from each other. Boundaries that has existed in the past, were removed. All students were exposed to a vast range of materials, skills and disciplines. Students were encouraged to find new and improved ways of designing everyday items. The Bauhaus became the centre of new thinking. Functionality and simplicity were combined with aesthetics, to produce a purer form of design. Previously, Art Nouveau had been about creating ornate, complicated, decorative products. The Bauhaus reduced the complexity of design to simplicity, functionality and an pure form of aesthetics. Consider the two tables seen below. 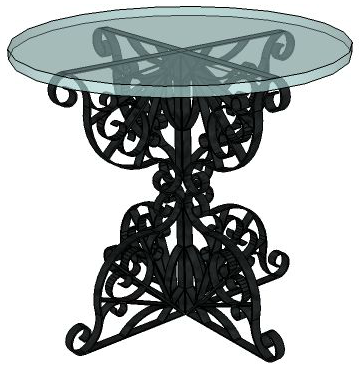 Table ‘A’ of an ornate Art Nouveau design. 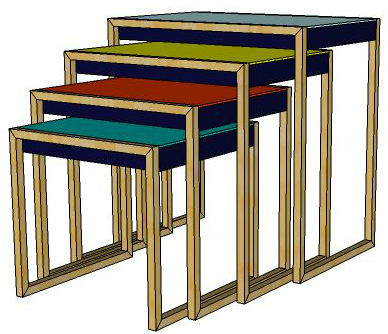 Tables ‘B’ were designed at the Bauhaus. The bauhaus promoted the use of materials such a tubular steel. Material that had not been used previously in furniture design or even considered as a suitable material for furniture. Tubular steel is light, versitile and cheap. It can be joined, shaped and formed in different ways, opening up new design possibitilites. This was the design philosophy of the Bauhaus. 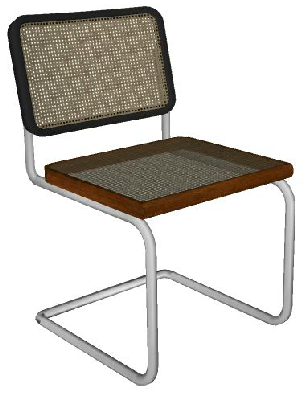 Marcel Breuer used tubular steel in the construction of his cantilever chair. This is now regarded as a design classic. The contrast between an Art Nouveau chair the Breuer chair can be seen below.